For more than 100 years, YWCA Southeast Wisconsin has been a resource for women and their families. From the first auto mechanics training for women in 1920s, to the first racially-integrated cafeteria in the Midwest, to today’s innovative economic development initiatives, the YWCA has been at the forefront of positive social change. 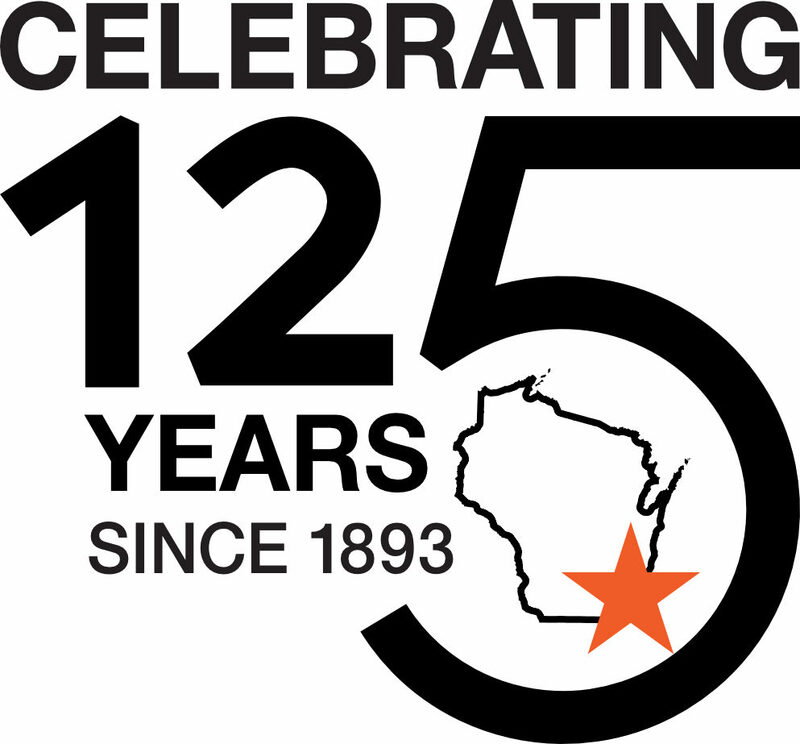 On January 10, 2018, YWCA Southeast Wisconsin (SEW) celebrated the 125th anniversary of our incorporation. For 125 years, we championed many of the social movements important to our community then, and now, including civil rights, affordable housing, healthcare, racial justice and pay equity. This year as we celebrate, we prepare to take on next 125 years of service with to the community. Join us as we celebrate this year! 1892 – Two hundred women sign a petition to form YWCA Greater Milwaukee. 1893 – Our organization was officially incorporated as YWCA Greater Milwaukee. 1894 – With an annual budget of $2,000 our YWCA headquarters moved to Mason Street, which had a gymnasium and a lunch room. 1898 – We opened the first cafeteria in the Midwest, providing respite and camaraderie for “factory girls” and shop workers in the city. 1901 – Our organization opened another headquarters building at 626 N. Jackson, which was donated by Elizabeth Plankinton. 1917 – The Blue Triangle and the Grace Dodge House residences open to accommodate an influx of working women arriving to the city of Milwaukee to help with World War I efforts. 1946 – The Girl Reserves Group is renamed to Y-Teens to capture the needs of a new generation. 1950 – $75,000 was raised to convert a market into a north side center at 2578 N. 8th Street. The purpose of the center was to increase interracial membership. 1974 – The north side center at 3940 N. 21st Street is renamed the YWCA Vel Phillips Center. 1986 -Our organization adopted a long-range strategic plan focusing on programs to foster economic self-sufficiency for low-to-moderate income women, girls, teens, senior women and single parent headed households. 1988 – The Transitional Housing Program (THP) begins serving homeless women and their children. 1991 – The First Annual Racial Justice Convention is held in January. Our organization receives Racial Justice Award from YWCA USA for its efforts to improve race relations. 1995 – The YWCA Women’s Enterprise Center (WEC) opens – and provides a new location for a one-stop center of services aimed at helping women and their families achieve self-sufficiency. 1996 – Our organization forms YW Works, a limited liability corporation, to help transition individuals from welfare to work. 1997 – Our organization created Generation 2 Plastics, a plastics processing plant supplying injection molding and compounding products to the plastics industry while serving as a workplace skills training center. 1999 – YWCA Greater Milwaukee opens YW Global Career Academy, a public charter school for grades K4 through 5. We also opened “Creative Workshop”, an employment training program designed with a creative work experience in an environment that promotes problem solving and sharing among participants. 2000 – Our James W. Anderson building opens on Capitol Drive/Teutonia Avenue. The restored building offered affordable senior housing and retail storefronts. During 2000, our organization experienced an economic downturn and sharpened mission to meet the needs of the community. 2005 – Our organization launched An Evening to Promote Racial Justice with Naomi Tutu as the inaugural speaker. An Evening to Promote Racial Justice is an annual event that promotes our racial justice efforts in the community, and features a nationally known keynote speaker and an awards ceremony recognizing individuals for their commitment to eliminating racism and empowering women in their professional and personal lives. 2007 – We launched the Unlearning Racism: Tools for Action© pilot. Since the pilot, more than 1,500 people have attended the full six-part series or modified versions in the region. 2009 – Our organization gained full responsibility of Camp Everytown and provided a co-ed experience for youth. The program moved to all girls in 2016 & 2017. 2012 – Our organization, YWCA Greater Milwaukee expanded programming to Racine and changed name to Southeast Wisconsin. 2013 – An Evening to Promote Racial Justice hosted largest audience with Harry Belafonte as the keynote speaker. 2015 – PI 5.09 High School Equivalency Diploma (HSED) program began in Milwaukee. Program expanded to Racine in 2017. We also joined YWCA USA’s national program Stand Against Racism. 2017 – We launched the Women’s Professional Image Program, a clothing boutique that provides image guidance and prepares women for job interviews and employment. 2018 – YWCA Southeast Wisconsin expanded Unlearning Racism: Tools for Action© course to Racine and kicked off with 45 participants. YWCA celebrates 125 years of being at the forefront of positive social change.